Well, it's March fourth, World Evanescence Day. But this year is most important, for it marks the tenth anniversery of their first big album released by Wind-Up Records, Fallen. Fallen is one of my favorite (if not, my single favorite) albums ever crafted. I got my hands on it in 2005, and it changed my life. It introduced me to different types of music that I'd never listened to before and helped discover some of my secondary favorite bands. That album showed me what a great voice really sounded like, but more importantly, that it's okay to express any of life's negativity through art. There are some times when I feel like Evanescence and Within Temptation may be tied for first place, but Within Temptation never exceeds Evanescence in my mind. There's something about that band, something wonderful, that has kept them in my heart for the past seven (going on eight) years. No, not something, but many things that have made me love this band and their music so much. In general, Evanescence is my go-to band whenever I need to feel better. 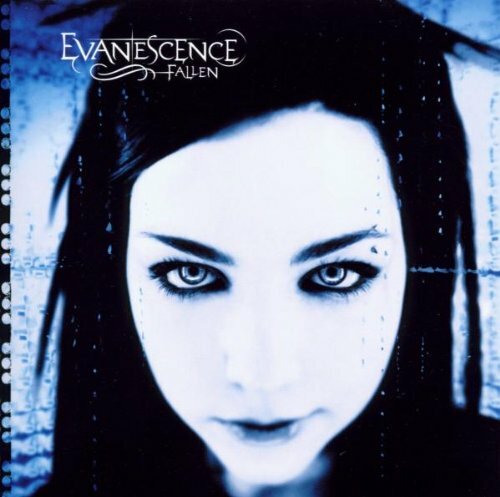 Not only do I rely on Fallen, but also their other albums, The Open Door, Evanescence, and even their early EPs. Sure, their music isn't the happiest, but it's the most relatable music I've ever come across. Amy Lee's lyrics have described some of my life situations ever-so perfectly, and the music has pulled on my heart strings, conveying the emotion even more realistically. Even though the line-up changes have been a bit frequent in the past ten years, I must say, I love the line-up that they've had since The Open Door Tour, which includes Terry Balsamo on lead guitar, Troy McLawhorn on guitar, Tim McCord on bass, Will Hunt on drums, and of course Amy Lee on vocals/piano. I finally saw Evanescence live for the first time last summer, and they all rocked. The songs from Fallen have improved live, particularly potence of the drums. Naturally, ten years has brought a lot of change in their sound as well; no two albums sound too similar. But it all started with Fallen and a hit single entitled "Bring Me to Life" (which is still played on the radio regularly after all this time) to make them known in the world. Happy anniversery, Fallen. The world is lucky to have you for all this time; the world is lucky to have Evanescence for all this time.